Please join us in congratulating Dr. Martin Taylor, HRI board member and renowned health researcher, on his election to Fellowship in the Canadian Academy of Health Sciences. 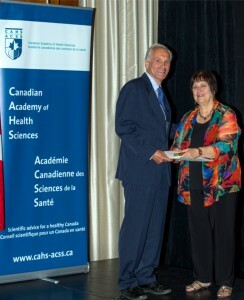 Fellowship in the Academy is one of the highest honours for individuals contributing to the field of health science. Fellows are recognized nationally and internationally for their achievements in advancing and promoting health research to improve the health of Canadians. Dr. Taylor has long been recognized for his leadership and commitment to advancing academic health science, particularly in the fields of environmental and community health. 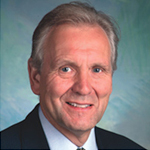 He holds an extensive record of governance experience as a member of the Social Sciences and Humanities Research Council of Canada Board, as board member and chair of the Michael Smith Health Research Foundation, and as board chair of the Propel Centre for Population Health Impact at the University of Waterloo. He is Professor Emeritus of Geography at the University of Victoria, and Adjunct Professor in the School of Geography and Earth Sciences at McMaster University, and in the School of Public Health and Health Systems at the University of Waterloo. Dr. Taylor founded the Institute of Environment and Health at McMaster University, and was also instrumental in creating the Centre for Addictions Research BC at the University of Victoria. He has supervised numerous doctoral students who went on to become health research leaders, and he is the author of two books and more than 100 peer-reviewed publications in the field of environmental and community health. Recently, Dr. Taylor was appointed Executive Director of the Canadian Research Data Centre Network, an organization partnering with Statistics Canada to facilitate improved and secure access to social, economic and health data for researchers across the country. We extend our sincere congratulations to Dr. Taylor on his Fellowship award. Dr. Taylor’s leadership, creativity and excellence in serving the health science community will continue to guide HRI in our pursuit to improve mental health and addiction treatment outcomes for all Canadians. This entry was posted on October 28, 2016 by Heather Froome.